Well, another kind of failed project. 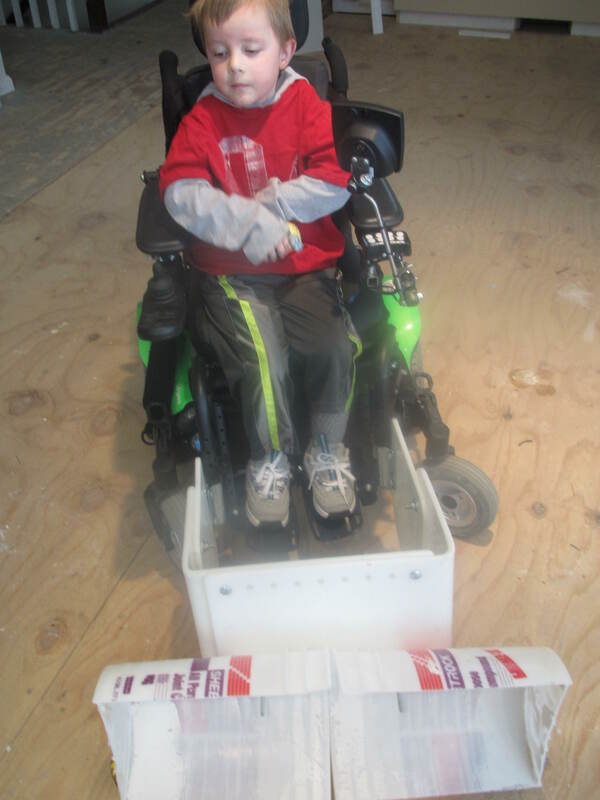 We started with a soccer guard that John was given through a local power soccer team. (See here: http://www.powersoccershop.com/ps-forcesoccerguard.aspx) We took a large paint bucket and cut it in half and attached it to the front of the soccer guard with some bolts. Unfortunately, the 9 inches of heavy wet snow was too much for the light plastic bucket and it would just bend it. We did try taking it off and just using the soccer guard. It pushed the snow a little bit, but wasn’t able to plow like we hoped.